Explanation: According to United Nature Theory. This work is only additional step for understand of atom, of energetic matter and of amazing, ingenious unbelievable, sophisticated nature behaviour. but the formations are endless and even beyond of imagination and one of them is like simple atom formation which create our life and even our sophisticated spirit. 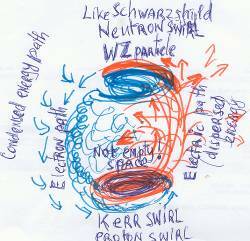 Neon atom semi-closed quantum formation-10 electric [nucleus] swirls. 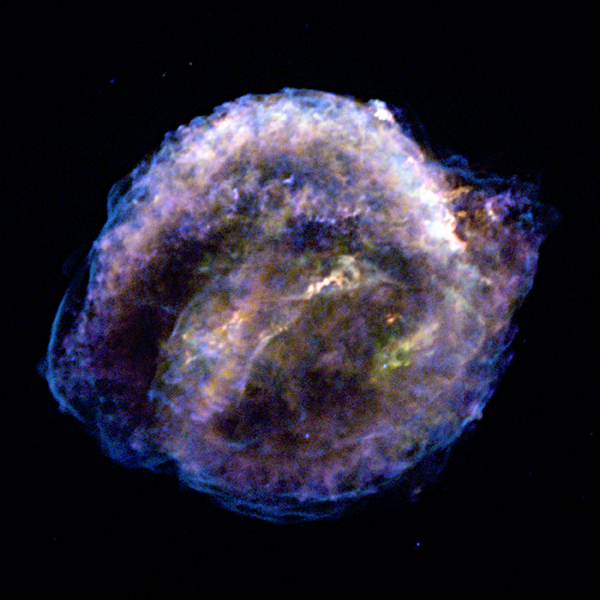 Pictures: Phase transitions of energetic matter from galaxy to atom. Solar system 10 quanta [ planets ] formation. Atom first shell 10 quanta formation. Atom second shell is also 10 atoms [quanta] formation. because every planet [quantum] behave similar to the like corresponding atom quantum, that help explain axial tilt of major planets but solar energetic axis is very longe and that change the corresponding planets to according atoms quanta. Every atom in order to be stabile must be closed quantum formation [M. Planck] two swirls-electric-gravity [C. Tejman]. From side view, we clearly see, that solar system behave like two swirls. And every atom is also composed by two swirls [720’] electric and gravity. [H-He] like Kerr swirl formation. As every quantum formation also atom has two behaviors: electric—magnetic. Common behavior of planets and atoms. Solar system composed by 10 quanta [photons] planets. and first atoms shell [Ne] also composed by 10 quanta [photons]. Photographs of the electron cloud for various states of the hydrogen atom as made from a spinning mechanical model. Book : Introduction to atomic spectra by HARVEY ELLIOT WHITE , Ph.D.
H–He energetic source is common for every atom and for every shell, like sun H–He source ! Third shell + 18 photons. Every additional photon [quantum]change atoms behavior. Theoretical discussion about atoms shells on basis scientific evidences and nature observations. The first atoms shell behave like our solar system. Similar pictures of planets and atoms [electrons] which circulate around their energetic source. Sky pictures: Clearly show common source. Every atom and shell arise in quantum from the same energetic source. Those sky formations explain the third , fourth and other shells. Energetic levels of atoms and planets from common source. This paper is only food for though of atoms and shells formations and their behavior. That is endless subject for work. This article is only introduction to ingenious, sophisticate energetic matter behavior that create atom which create our life. This article may copied but please citate the source. Article from books 6 of the serial United Nature Theory. Dr. Chaim Tejman. Copy right © 2008–07–02 All rights reserved. 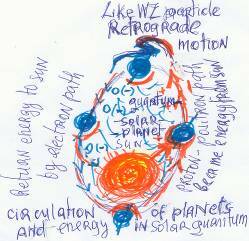 For better understand please read solar system quantum and atoms structure-from web Tejman Chaim Henry. · The first volume of the book, United Nature Theory: Wave Theory (Grand Unified Theory) is catalogued in the American Library of Congress as TX 5-572-750 SBN 978965-555-093-1 Author: Dr. Chaim Tejman And in Israel’s Hebrew National and University Library document number 0065261. Copyright © Mishlat, Scientific prints. Ltd. 2001.